Duzce is a province that is worth seeing with its forests, locally known as rain forests, natural wonders of Samandere and Guzeldere waterfalls, Efteni Bird Paradise, thermal springs, streams and the only surviving ancient city of the western Black Sea Region “Prusias - Konuralp Museum”. Duzce is situated in the Western Black Sea basin. It neighbours with Bolu to the east, Sakarya to the west, and Zonguldak to the northeast. Its altitude ranges from sea level to 120 - 180 meters. Important streams are the Buyuk Melen stream, Kucuk Melen stream, Asar stream and Aksu stream. Its vegetation is quite rich and it has every rich and exciting tone of the colour green. Even though the summer is hot and winter is cold in the region, its climate is the transitional zone between the western Black Sea climate and Central Anatolia climate. The archaeological history of Duzce dates back to 1390’s BC. During this time, the region was subjected to invasions of a numerous tribes and states. Therefore, the area still bears the marks of prehistoric, Phrygian, Lydian, Persian, Roman, Byzantine, Seljuk and Ottoman civilizations. Konuralp Bey who was a commander of Orhan Gazi’s annexed the area to Ottoman rule in 1323. The districts of Duzce province are Akcakoca, Cumayeri, Cilimli, Gokyaka, Kaynasli and Yigilca. The 35 kilometres long, wide and high quality beach which united the shoreline of the town, with its calm and clean sea. Ceneviz (Genoese) Castle, Fakilli Cave and its warm and friendly people made Akcakoca a popular holiday destination. Kaynasli is situated on the Istanbul – Ankara highway. It was completely ruined by the Duzce earthquake on the 12th of November 1999. The Northern Anatolia fault line terminates in Kaynasli and that is the reason why it was the most affected residential area of the 12 November earthquake. Over 90% of the buildings were damaged in the town. However, the district recovered quickly and turned back its normal life. 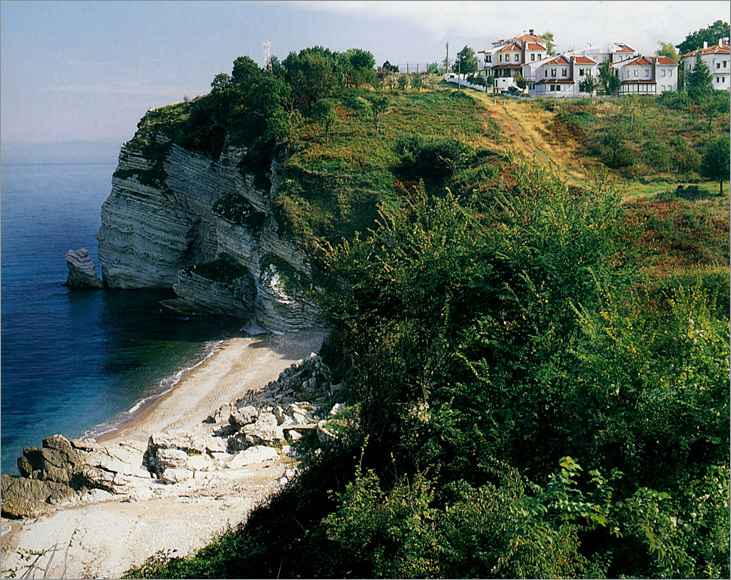 Golyaka is situated in the western Black Sea Region, at the western border of the province. Golyaka is an attraction with its water activities and resources, as well as its highlands and forests. Gumusova is 18 kilometres from Duzce province. Fishing is possible on the Melen stream during hunting season. 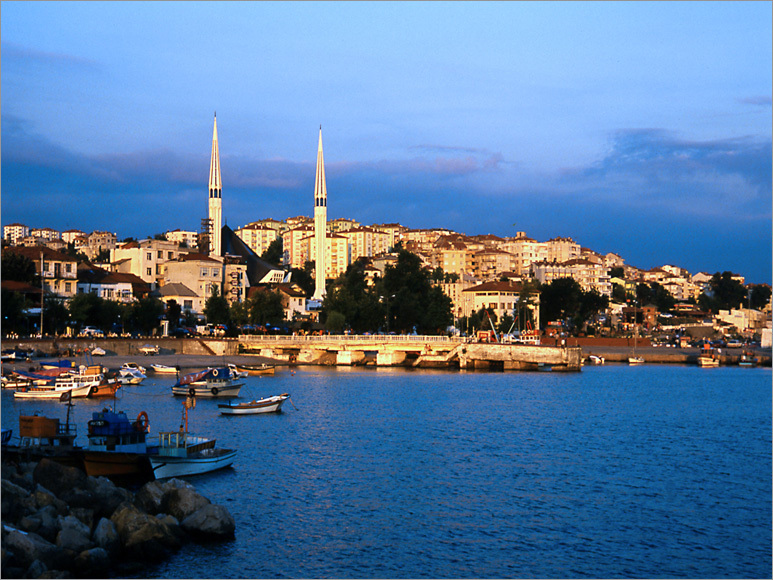 The district has vegetation, which is typical for the Black Sea region such as hazelnut, tea, beech and walnut trees. Konuralp, which is the only ancient city of the Western Black Sea, is situated on the “Prusias Ad Hypium” which is an ancient Roman city. There are 6118 artefacts of which 1825 archaeological, 456 ethnographical artefacts, and 3837 coins in the Konuralp Museum. These artefacts are exhibited in the museum yard, as well as the archaeology, ethnography, stone artefacts and coin departments. It is known that the Konuralp mosque in the Konuralp District was built in the 14th century. A patron called Dilaver Aga approximately 100 years ago had the mosque repaired and to this day, it still stands preserved. The Konuralp Tomb, Karakoy tombs, Cumayeri and Ahmet Dede tombs are the important tombs to be found in Duzce. It is situated within the borders of Akcakoca and 10 kilometres from the Akcakoca city centre. The special characteristics of the area are an extremely rare ecosystem. Due to the high rainfall the primary plant, species are beech, hornbeam, chestnut, oak, poplar, lime, alder, wild hazelnut, rhododendron, bearberry, blackberry, arbutus, forest ivy, nettle, and timothies. The fauna of the natural preservation area is very rich as well. The lake situated at an altitude of 100 m and lying within the borders of Duzce and Golyaka. 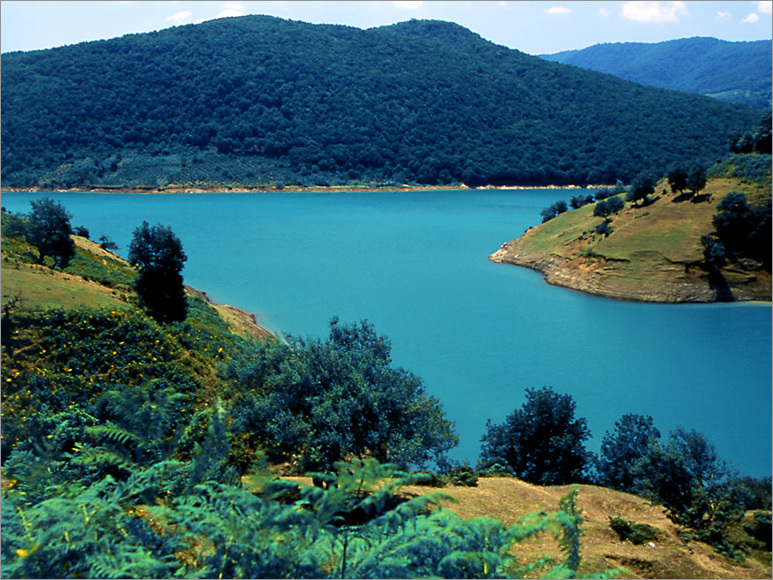 It is a fresh water lake formed by the Asar, Ugur, Kucuk Melen streams and fed by other streams sourced from the Elmacik Mountains. Efteni Lake is one of the important and rare centres on the migration route of the migratory birds. The lake is under wildlife protection and hunting is forbidden. At the lake, which shelters 150 species of water birds, there are also bird watching terraces and an introduction centre where the visitors can get familiarized with the area. Is situated within the borders of the Golyaka district of Duzce. Distances are 28 kilometres from Duzce and 16 kilometres from Golyaka. The Guzelyaka waterfall is at an altitude of 135 m. and it is an aesthetically pleasing area in the region. (natural monument) The Samandere Waterfall, which is situated 26 kilometres southeast of Duzce’s city centre. It is within the borders of the Samandere village. Its characteristics were formed by natural events and the Ministry of Forests has registered it as a “Natural Monument”. There are monumental trees, three waterfalls, and a gorge called “cadi kazani” (the witch's cauldron) which is found along a 500-meter long stream, which includes the Samandere Waterfall. Akcakoca is a holiday and tourism paradise. 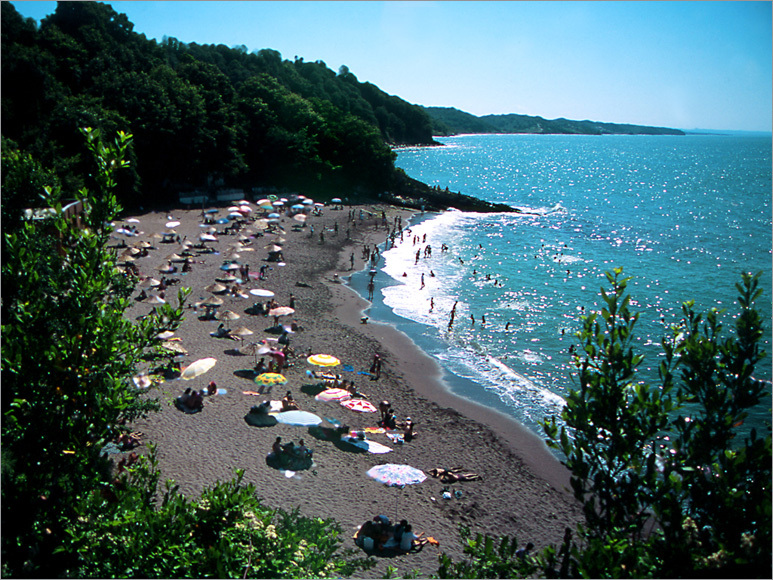 This district, which attracts attention with its natural monuments along the Black Sea shoreline, is a frequently visited resort for countless tourists as well as the inhabitant of the surrounding region. It serves tourists with many hotels, Bed and Breakfasts (pansions), camping facilities and restaurants. Fishing is very important in the Melenagzi village, which along a 13 kilometres stretch west of Akcakoca. The Melen Stream that passes through the village and when it reaches the Black Sea there is a natural harbour where the fishing boats shelter. It is possible to sail along the stream. 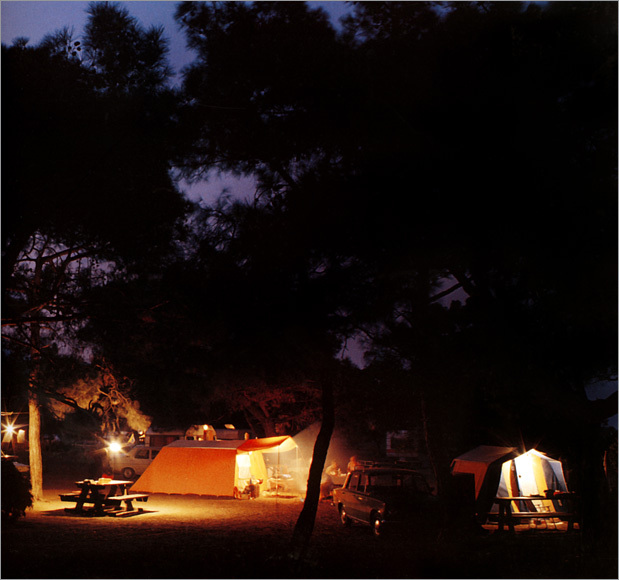 There are wide beaches, country cafes, clubs and camping sites. Karabun Village is 10 kilometres from Akcakoca. Karaburun beach is where green and blue blend together, is one of the most popular resort and recreational area with its natural beach, quaint houses and Bed and Breakfasts (pansions), rustic cafes, restaurants and clubs during the summer season. The broad and natural beaches make an ideal environment for those who are looking for a tranquil resort in a setting where the forest embraces the sea. Fishing is possible in the streams flowing amid the forests in this area. 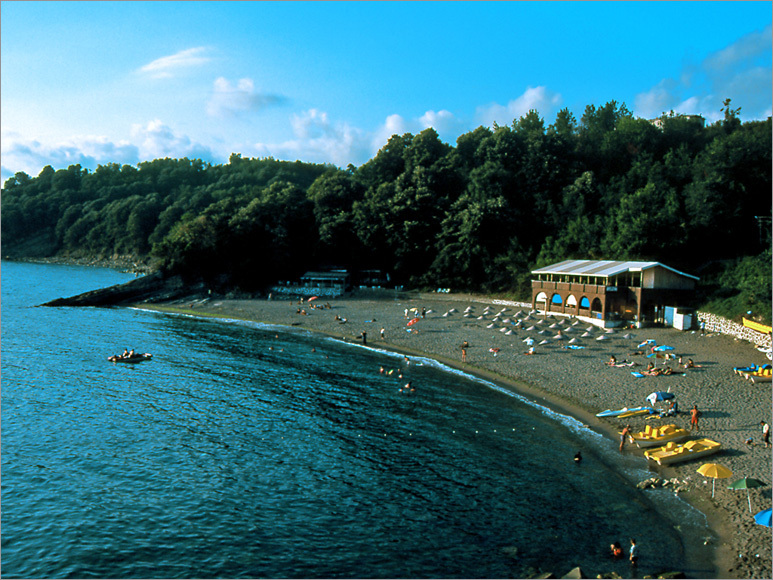 Stretching along the Black Sea shoreline, it is a popular destination with its wide and natural beaches starting 7 kilometres east of Akcakoca city centre on the Black Sea (Karadeniz) Eregli highway. The area, which has picnic, and walking areas in the forests, is also suitable for hunting wildfowl. The Fakilli Cave in Fakilli village, located 8 kilometres southeast from Akcakoca District of Duzce province, attracts a great deal of attention. A one-meter high and 15-meter long gallery is used to access the cave. The cave, which maintains its natural characteristics, has various galleries, interesting stalactites, and stalagmites to be discovered within. Kocayayla – Sehirli Highland, Odayeri Highland, Torkul Highland, Topuk highland, Karduz Highland are the important highlands in Duzce. The local dishes of Duzce include layered pastries such as Arnavut Boregi, Sil Borek, Su Boregi, Bosnak Boregi. Other specialties called Gobete, Manti (a type of ravioli), Gozleme (a type of filled flatbread), Katlama, Tavuklu Keskek, Lepsi, Mamursa, Halujlari, Kara Lahana (black cabbage) and corn bread. Some of the desserts are Sari Burma, Hosmerim and Bosnak Tatlisi. Travellers to Duzce are recommended to try some of the specialties of the region. Trout with butter in Aydinpinar district and barbecued meat in Kaynasli are sure to please any palate. Hazelnuts, which are the main and most important agricultural product of the district and as well tobacco cologne, are available.